Today, Reebok launches ‘Back Where We Started,’ a unique film that pays homage to the Club C, the iconic shoe that changed the sneaker conversation in the 80s and remains a streetwear essential today. The film is the second installment in the brand’s global ‘Sport the Unexpected’ campaign, celebrating those who defy convention and challenge the status quo – those who are anything but expected. 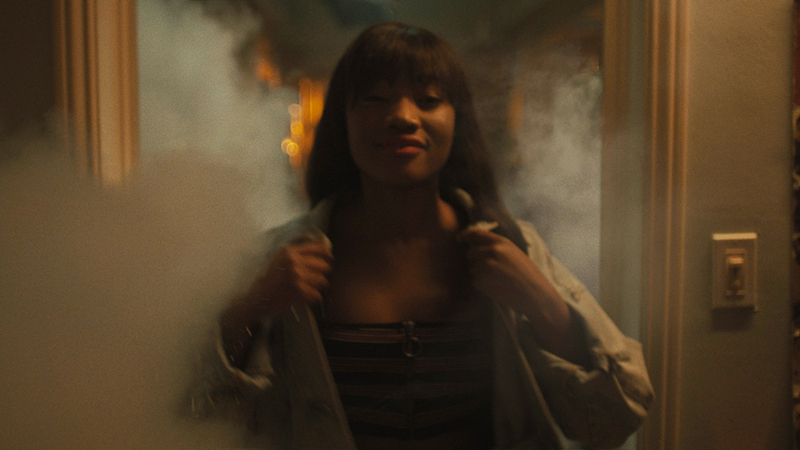 The follow-up to ‘Storm the Court,’ ‘Back Where We Started’ features a female protagonist who invites the viewer to step back in time, exploring Reebok’s rich heritage. Featuring the effortless silhouette, a dynamic backward motion technique places the iconic Club C amongst the everyday icons from the past and present, reinforcing Reebok’s position as a modern classic. ‘Back Where We Started’ is part of Reebok’s fully-integrated ‘Sport the Unexpected’ global campaign across digital, social and traditional media platforms. The cornerstone of the campaign is the rich film content – three video executions. The first film ‘Storm the Court,’ was released in March, and Reebok will introduce a third execution later in the year, with more details forthcoming. The campaign was created by Venables Bell & Partners. About Reebok: Reebok International Ltd., headquartered in Boston, MA, USA, is a leading worldwide designer, marketer and distributor of fitness and lifestyle footwear, apparel and equipment. An American-inspired global brand, Reebok is a pioneer in the sporting goods industry with a rich and storied fitness heritage. Reebok develops products, technologies and programming which enable movement and is committed to accompanying people on their journey to fulfill their potential. Reebok connects with the fitness consumer wherever they are and however they choose to stay fit – whether it’s functional training, running, combat training, walking, dance, yoga or aerobics. Reebok Classics leverages the brand’s fitness heritage and represents the roots of the brand in the sports lifestyle market. A subsidiary of adidas, Reebok is the exclusive outfitter of CrossFit and the CrossFit Games; the exclusive authentic global outfitter of UFC; the title sponsor of the Reebok Ragnar Relay series; and exclusive apparel provider for Les Mills.